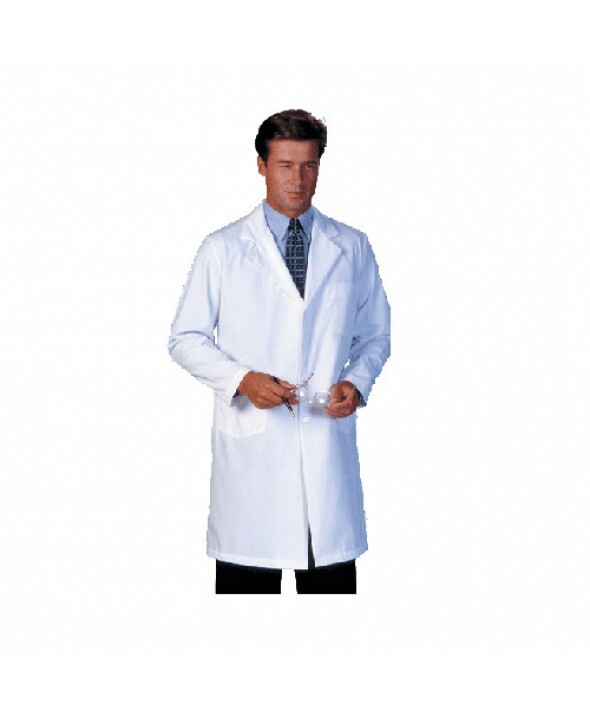 This sharp-looking medical coat features a plain back for a professional appearance. 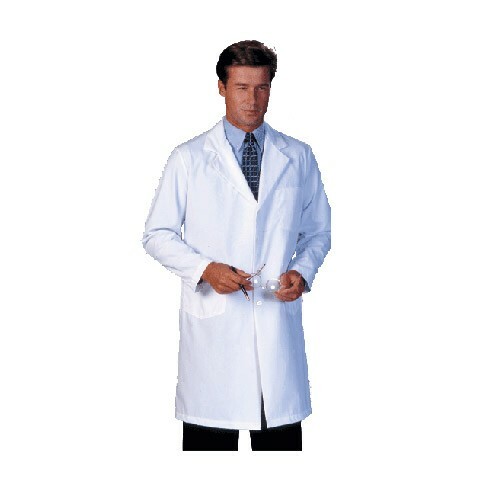 It has a left breast pocket with a tacked pencil divider for quick access and 2 large lower pockets with plenty of room for equipment. As well, it includes side vent openings for easy access to inside pants pockets.